AC Milan vs Inter Milan predictions ahead of this Serie A clash on Sunday. The Rossoneri are pushing to build on excellent form in 2019 when they meet their city rivals in the final game of the weekend in Italy. Read on for our match preview and free betting tips. The Champions League race in Serie A is thrilling at the minute, with a queue of sides fighting for the top four. The two sides in pole position are AC Milan and Inter, who meet in Sunday’s derby clash. These two giants of Italian football are measuring their comebacks against each other, with Inter getting the lead through great displays in 2018. 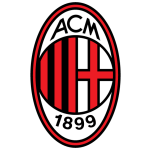 They featured in the Champions League earlier this term after finishing fourth last May, something which the Rossoneri are on course to match this term. AC Milan have moved into third place in Serie A in recent weeks, at the expense of Inter. In 2019, Inter have picked up just 11 points in eight games in Serie A (W3 D2 L3), nine less than AC Milan have managed (20: W6, D2); only Juventus have picked up more points than the Rossoneri this calendar year (22). That’s title challenge form from Gennaro Gattuso’s outfit, who come into this one as the side to fear in Italy. They’ve made huge strides in recent weeks, now they’re zeroing in on their season ambition – the Champions League. For Inter, the goal this season was progression. Build on fourth last season, move closer to Juventus and get a run going in Europe. Silverware was talked up for the Nerazzurri, then demanded by the owner once their Serie A campaign looked mixed. 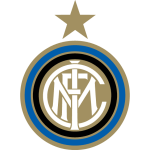 Midweek brought a 1-0 defeat for Inter in the Europa League. They went out 1-0 on aggregate after that loss to Eintracht Frankfurt at San Siro on Thursday, which is a huge blow to Spalletti. With Antonio Conte and Jose Mourinho linked to the job, the current boss seems to be heading for the exit. Spalletti’s Inter have seen their recent games overshadowed by Mauro Icardi, with the forward refusing to feature for the club after they removed the captaincy from him. That issue has turned into a huge problem for the Nerazzurri, which has left them short on goals. They’ve scored 13 times in their last 13 matches, with a huge Icardi shaped hole up front. Milan come into this clash with five wins in their last six games, while they’ve won four on the bounce at home, keeping a clean sheet in each. They have a fantastic defensive record in 2019, with Gattuso making them really hard to beat. Given that Inter have lost three and drawn one of their four away matches against the top seven, they should struggle in front of a partisan crowd on Sunday. The Rossoneri have won nine of 14 home clashes in Serie A, so we’re backing them for the points here. AC Milan have failed to score in their last two Milan derbies in Serie A: only twice in the history of the competition have the Rossoneri failed to find the net in three consecutive games against Inter (the last time was between 1979 and 1981). Seven of the last eight goals between AC Milan and Inter have come in the second half of Serie A games. Inter have scored 38% of their goals (15/40) in the last 15 minutes of Serie A games this season, including one in their last top-flight match as well as one in the reverse fixture; no team has scored a higher percentage of their goals in this period of matches. The last Milan player to have scored in his first Milan derby in Serie A was Jeremy Menez in November 2014; while for Inter it was Antonio Candreva, in November 2016. Inter’s Lautaro Martinez is the outfield player to have played the most games (13) and to have scored the most goals (5) in 2019 in all competitions.